Here are 5 animals in search of a loving home. All are currently residing at the Montgomery County Animal Shelter. (Please note: the location and hours of the shelter have changed since last week) You can visit them Monday, Tuesday, Thursday and Friday from 10:00 AM to 7:00 PM. Or on Saturdays and Sundays from 10:00 AM to 5:00 PM. The shelter is located at 7315 Muncaster Mill Road, in Derwood. Call the shelter at 240.773.5960 to check on the availability of a specific animal. When you call, have the dog, cat or small animal's name or ID number, and the 6 digit AIL number (A######) ready. Good news - someone appears to have adopted Ollie, who was featured here last week. Congratulations, Ollie! Number 137 and Patches are also off the shelter roster, hopefully to good homes. Dominique is an unaltered, black and white female pit bull terrier. She is around 4 years old, and has been at the shelter a long time - since October 4 of last year. 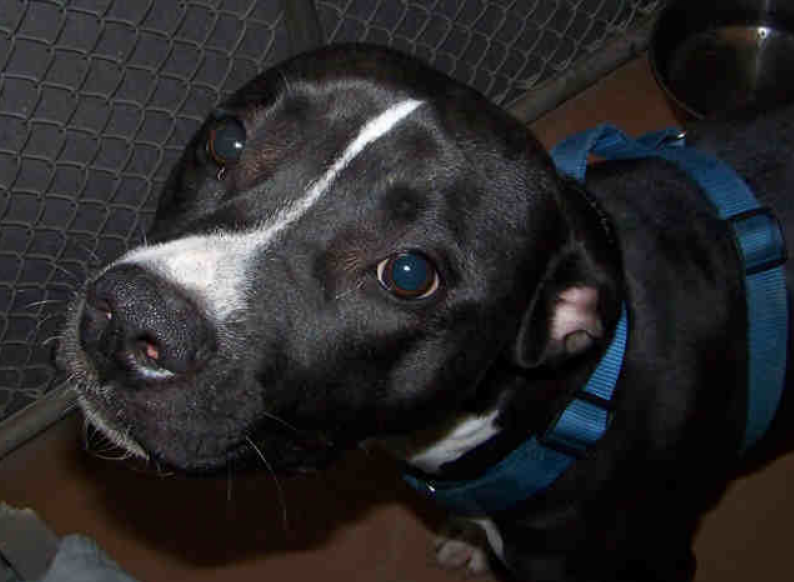 Can you end her wait for a home this week? Let's make it happen. 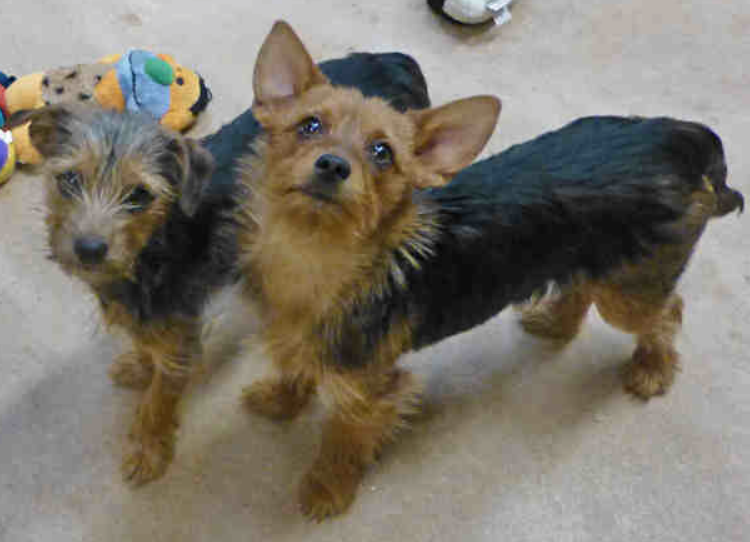 Cathy and Kim are unaltered, black and tan, female mixed Yorkshire terriers. They are both around 8 months old. It seems like they should stay together. Do you have room for two? 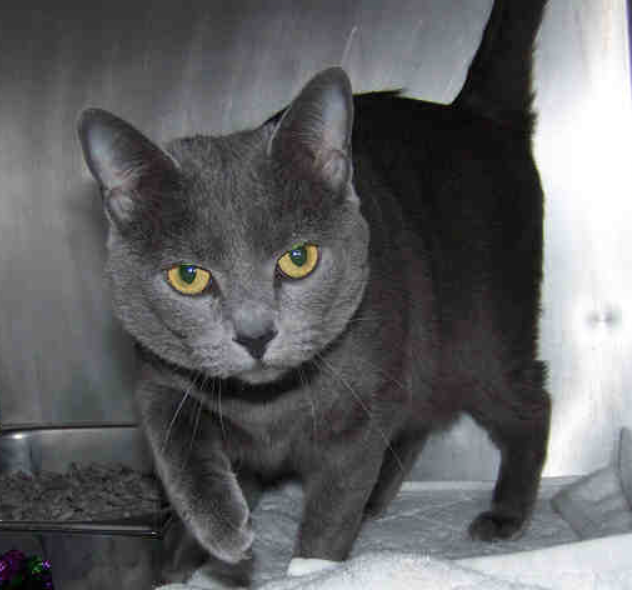 Kali is a spayed female blue domestic shorthair, approximately 4 years old. 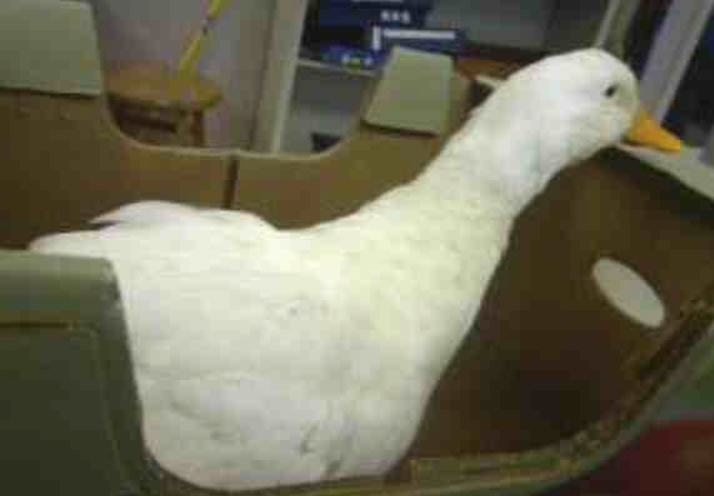 It's got to be extra tough to be a duck in an animal shelter. Let's help bring Petty's awkward moment to an end this week. The Development Review Committee meeting previously scheduled to be held this morning, in the Black Eyed Susan Conference Room at City Hall at 9:00 AM, has been canceled. Call 240-314-8228 if you have any questions. No reason was stated on the city website's announcement. Citizens willing to volunteer their time are asked to consider serving on Rockville's new Ethics Commission. Volunteers need to be a resident of the city, and fill out a disclosure form. With elections, development and other matters becoming far more complicated than in Rockville's past, this is certainly a vital and worthy service to consider on behalf of your neighbors. The newly-chartered commission will advise the Mayor and Council, assist in creation and implementation of ethics policy, and handle ethics complaints when those guidelines are violated. The commission has openings for five members. One of the initial members will serve a one-year term, two members will serve for two years, and two members will serve for three years. Eventually all members will serve three-year terms. The deadline to apply is March 14. To apply, candidates should complete the Statement of Financial Interests and submit it along with the Expression of Interest Form, which can be found on this page. Over the dissent of Mayor Bridget Newton, four Rockville councilmembers approved a motion by Councilmember Tom Moore to back Ocean City's effort to have city offices appear on the presidential year ballot. All four councilmembers who voted affirmatively were part of the Team Rockville slate in last November's city election. However, only Moore has fully endorsed the idea of moving Rockville's city elections to presidential election years. Virginia Onley, Julie Palakovich Carr, and Beryl Feinberg said they support Ocean City's effort only as an endorsement of home rule - essentially the resort city's right to set the date of its own elections. Moore noted that Hagerstown already holds its elections in presidential years on Election Day. Prior to the vote, Moore asked city staff to support the legislation in Annapolis that would allow Ocean City to move its election date. "You can't direct city staff," Newton responded. The mayor challenged the majority's assertion of home rule. She said city voters had made clear they don't want elections moved, through their rejection of a ballot question last November. For the city to now use funds and resources to support the contrary elsewhere in the state would be inappropriate, Newton argued. 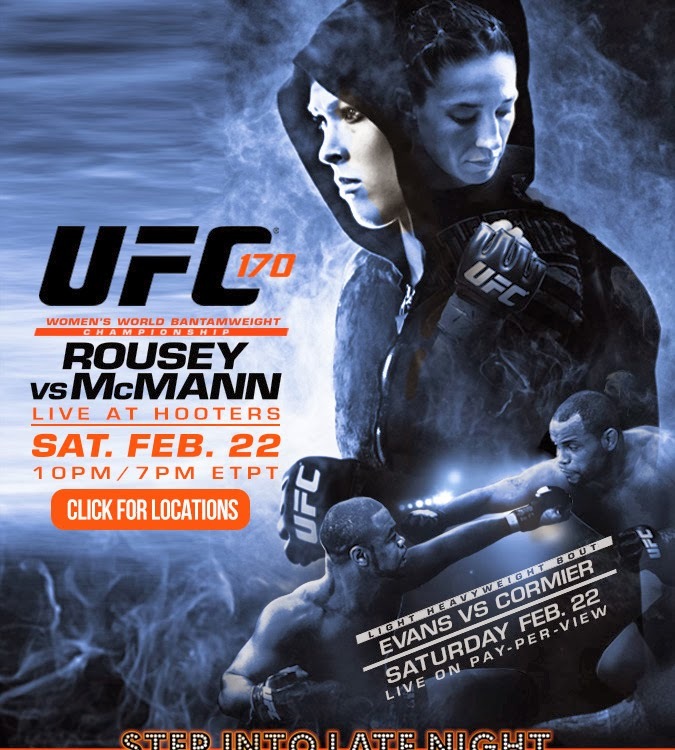 Hooters of Rockville is once again UFC headquarters this Saturday night at 10:00 PM, when the always-controversial Ronda Rousey squares off against Sara McMann, with the bantamweight title on the line. Here are 5 animals in search of a loving home. Some are currently residing at the Montgomery County Animal Shelter. You can visit them Monday, Tuesday, Thursday and Friday from noon to 7:00 PM. Or on Saturdays and Sundays from noon to 5:00 PM. The shelter is located at 14645 Rothgeb Drive, in Rockville. Call the shelter at 240.773.5960 to check on the availability of a specific animal. When you call, have the cat or small animal's name, or the dog's ID number, and the 6 digit AIL number (A######) ready. One dog is available from DAWG Rescue, Inc. The links will help direct you to the right place. 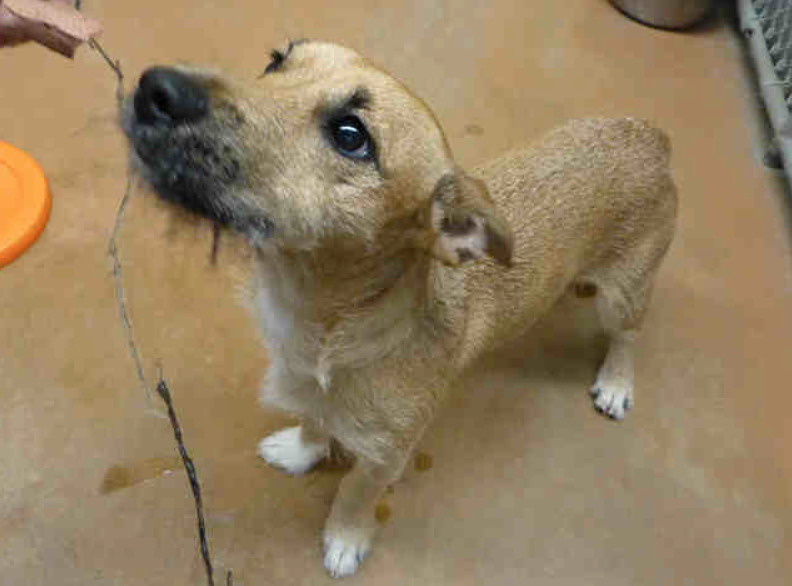 Number 137 is a neutered male cross between a Border Terrier and Jack Russell Terrier, and the county shelter staff believe he is around 9 months old. He just arrived in the shelter on Sunday. 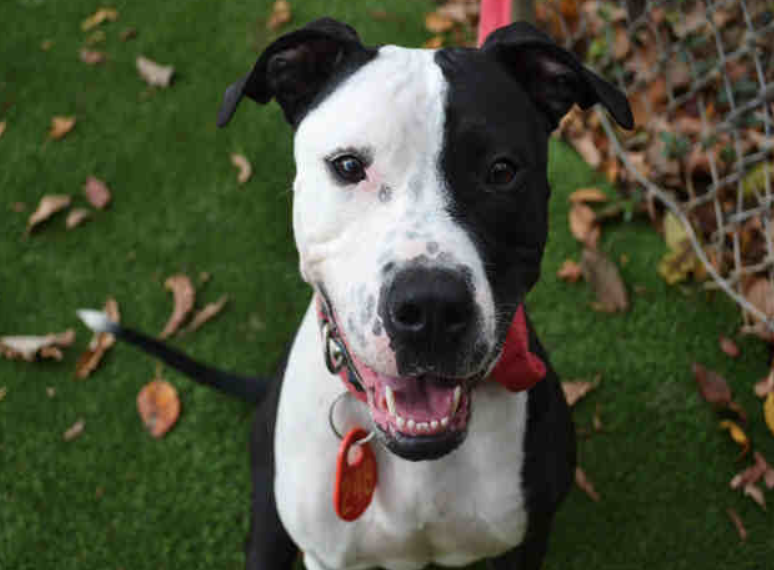 Number 232 is an approximately 10-month-old, unaltered black and white female Pit Bull Terrier. I defy you to resist adopting this poor little guy. 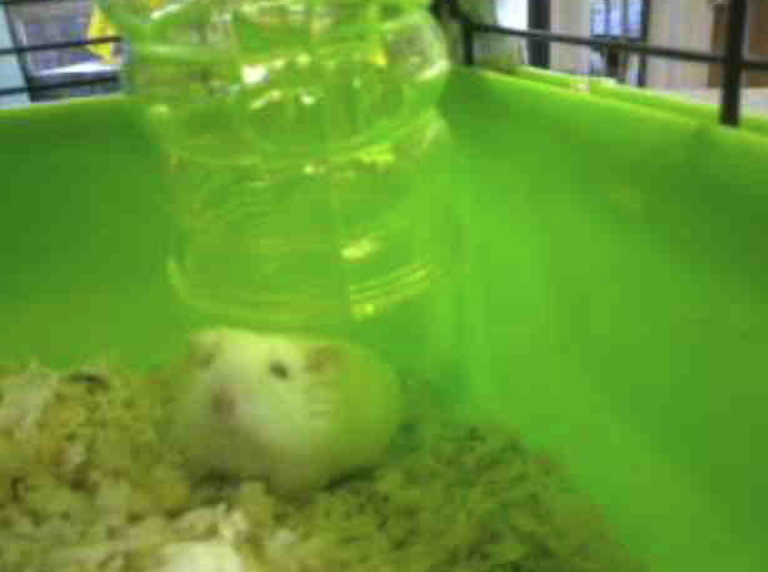 Ollie is a white hamster who just arrived at the county shelter on Tuesday. They think he is about 6 months old. 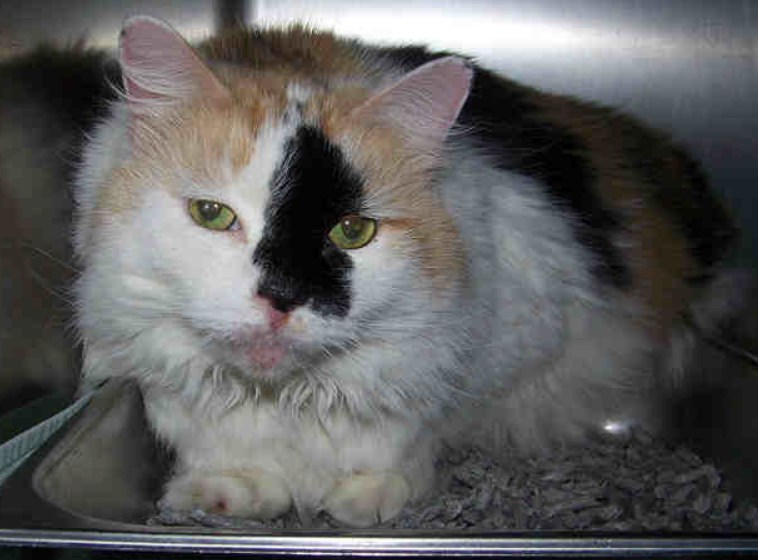 Patches is an approximately 8-year-old, unaltered calico Domestic Shorthair cat. Princess Chi Chi Bu is a Japanese Chin female, available through DAWG Rescue. She has a slight heart murmur, so she is recommended for quieter homes without small children. And she isn't completely housebroken yet, so patience will be necessary. The post-World War II and modern architecture of three Rockville neighborhoods will be the focus of Peerless Rockville's spring "Modern Living for a Modern City" series. Rockcrest, Hungerford and College Gardens will each take a turn in the spotlight as warmer weather finally begins to reach Rockville. On March 29, Rockville Historic District Commissioner Jessica Reynolds will discuss the Rockcrest neighborhood at the Twinbrook Recreation Center, beginning at 10:00 AM. Hungerford will be the subject on April 12, as historian Teresa Lachin makes a presentation at the Elwood Smith Community Center, also at 10:00 AM. Finally, Nancy Pickard of Peerless Rockville will host an examination of architecture in College Gardens on April 26 at the Rockville Senior Center, again at 10:00 AM. Peerless Rockville is a non-profit concerned with historic preservation and preserving Rockville's heritage. Today and tomorrow, Gordon Biersch in Rockville Town Square will be offering its own brews at only $2.50 per glass. Trash collection and recycling pickups will proceed on the regular schedule this week in Rockville. Monday's holiday has no impact on the schedule. If your service was canceled on Thursday, February 13 or Friday, February 14, your collection will not be rescheduled. ROCKVILLE CITY POLICE UNION SAYS FORCE'S "MORALE IS AT AN ALL-TIME LOW"
The union that represents Rockville's police officers is asking the Mayor and Council to reverse cutbacks in officers' compensation, now that the recession is over. Officer Jan Seilhamer, who is the union's president (and an Army veteran of Operation Desert Storm), said "morale is at an all-time low within the police department," due to the reductions. Speaking at the last council meeting, Seilhamer argued that the city can easily afford to restore step increases to officers, as jurisdictions with worse economies have already done so. A forensic accountant the Rockville Fraternal Order of Police Lodge 117 hired to review the city's finances concluded the city is in "excellent financial health," Seilhamer noted. Given that context, Seilhamer said, officers see "a mayor and council who do not value our contributions and sacrifices. We have sacrificed time with our families, we have sacrificed our bodies for this city." A one-time FY-2015 bonus is "unacceptable," Seilhamer said, especially when officers may be ordered to contribute more to their retirement plans, to boot. Seilhamer pointed to the amount of the city's surplus being spent on capital improvement projects in the budget as evidence of misplaced priorities. "When are you going to make the people who help make this city so great a priority?" she asked. The mayor and council did not publicly respond to the issue in their Response to Community Forum directly following Seilhamer's testimony. Like salsa with your chip? How about a potato chip that has the salsa on it already? Lay's has a new potato chip flavor, Lay's Pico de Gallo. Let's try it out in this video review. The current temperature in Rockville's West End is 32° F.
Expect delays on the Red Line for Shady Grove-bound trains, but Metro subways are operating. 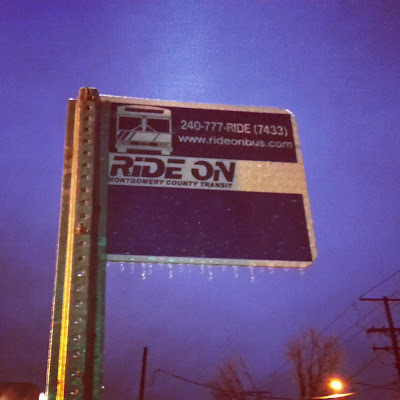 The only Metrobus routes operating in Maryland are: 83, A12, C4, C22, D12, F4, J2, K6, P12, Q1, T18, Y9, Z8. Ride On buses are on the S Schedule, which means they are (supposedly) running, but won't adhere to the posted route schedules. The federal government is opening 2 hours late, and Montgomery County Government and schools are closed. We could get an additional 1-3" of snow overnight, as temperatures will drop below freezing. The City of Rockville has declared a snow emergency, as a major winter storm approaches the city. A snow emergency means residents should remove vehicles from streets by 6 PM tonight. If there is not adequate space to do so, residents are asked to park on the even-numbered side of the street. These non-mandatory requests are meant to make it easier for snowplow drivers to navigate streets, and speed up the snow removal process. Snow must be removed from sidewalks, steps, driveways, parking spaces and similar paved areas for public use (including access ramps and curbs) within 48 hours after a snowfall of three to 10 inches and within 72 hours after a snowfall of more than 10 inches. When clearing paved areas, provide a safe, unobstructed, passable path 36 inches wide. Residents are asked to avoid driving during the storm, if possible. 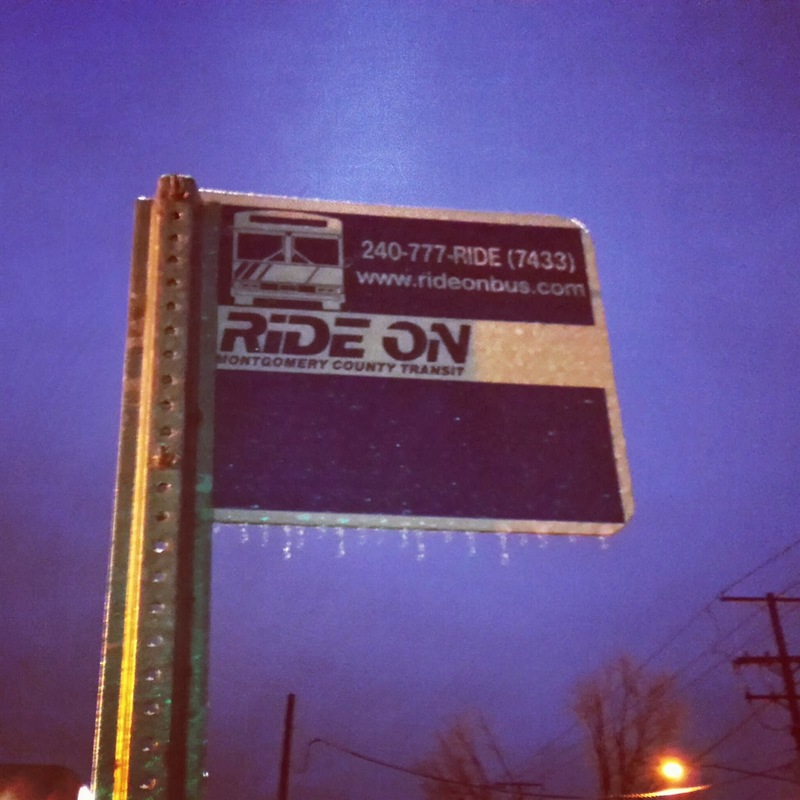 If you have a non-emergency weather-related issue to report to city police, call 240-314-8900. For emergencies, obviously, call 911. Maryland Gov. Martin O'Malley has declared a snow emergency for the state, as well. Heavy snow is expected to begin falling during the evening rush hour tonight. Current projections are for 3-6" tonight, and 4-8" Thursday, for a total of up to 10". The high today will be 30-32 F, and the high Thursday will be 34 F.
Hooters of Rockville is offering diners a special deal for Valentine's Day this Friday: get 2 10-piece orders of Hooters' famous wings for only $14. 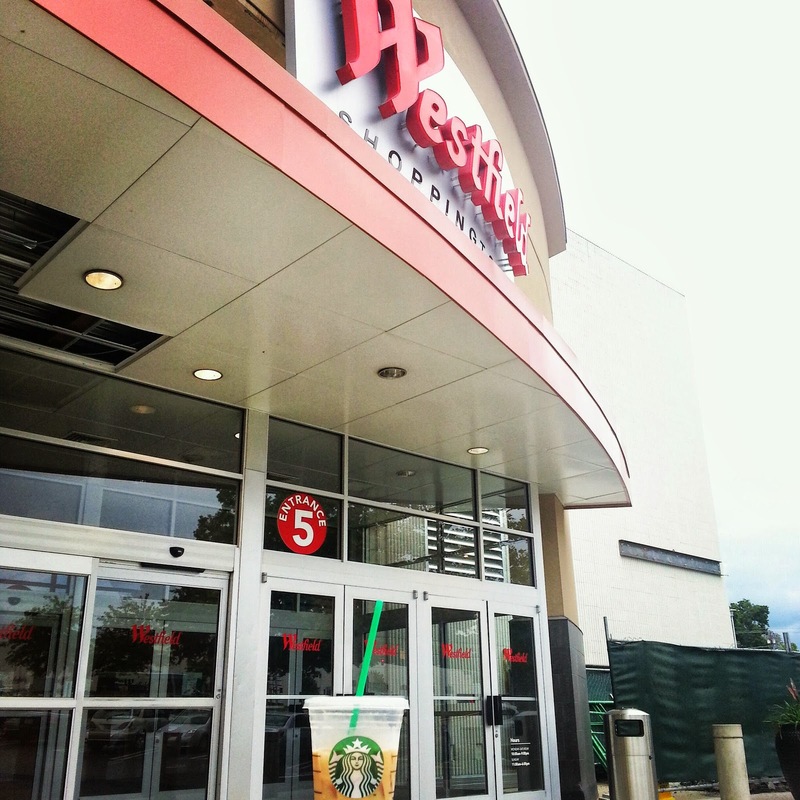 No coupon is necessary, and the offer applies to dine-in customers only. Andrew Pudduck, vice president of marketing for Hooters, said, "we simply love our guests and know that between our legendary wings, relaxed atmosphere and Hooters Girl hospitality, Hooters is the perfect place to enjoy a satisfying Valentine’s Day meal at a great value." 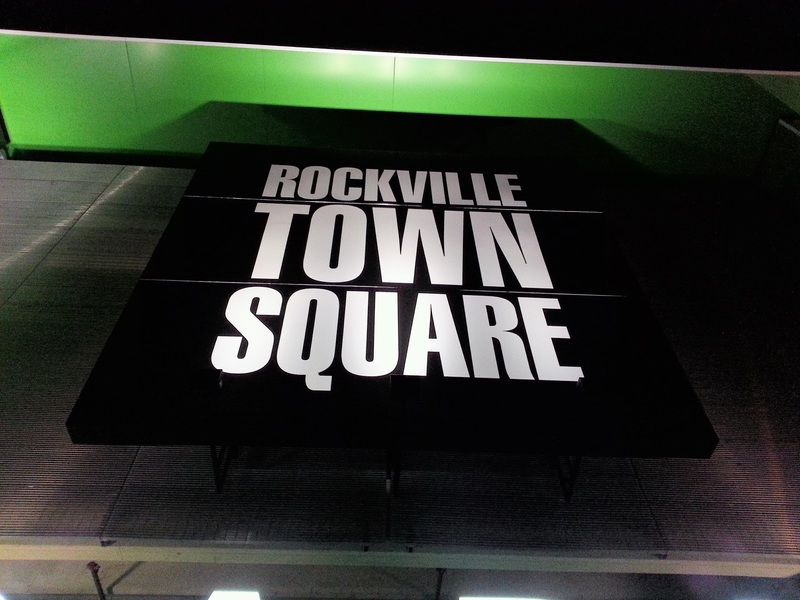 Citizens can get a preview of the Rockville FY-2015 city budget at tonight's Mayor and Council meeting. City staff will present the highlights of the proposed budget, and the mayor and council will vote on two resolutions: one on taxation, and one amending the zoning ordinance with "technical and clarifying revisions." The meeting will be held in the council chambers at City Hall tonight at 7:00 PM, and can also be viewed on Rockville Channel 11 on Comcast. 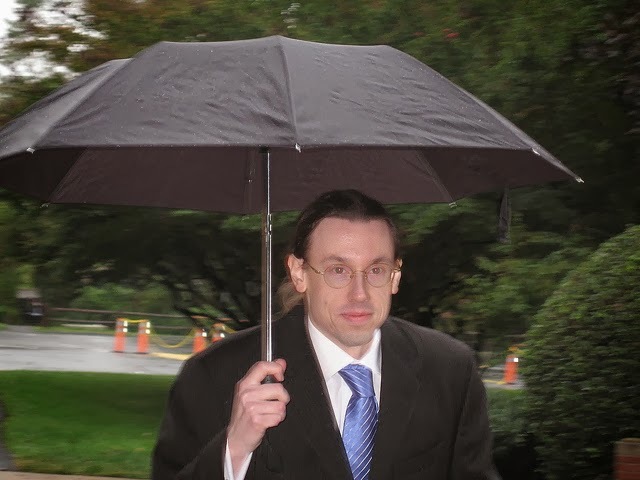 Former Rockville mayor and past Montgomery County executive Doug Duncan yesterday blasted county officials for evicting biotech startups from a Rockville facility, a decision made to clear the way for a federal cybersecurity center at the Shady Grove property. Duncan and biotech executives condemned the decision, saying it sends a negative message to firms who might consider moving to the county's I-270 life sciences corridor, one of the few bright spots in a stagnant county economy. The firms currently housed at the William Hanna Center for Innovation will be kicked to the curb in June. Duncan is a current candidate for his old job as county executive. Timothy J. Chesnutt, former director of the Jacksonville, North Carolina Parks and Recreation Department, will fill that position now in Rockville. Chesnutt was hired by Rockville City Manager Barb Matthews, who announced the news Monday. Chesnutt succeeds longtime director (and former City Hall podium turner) Burt Hall. People in DC are always talking about New York City pizza being the best. Well, they'll be delighted to know that we're getting an actual New York City pizzeria here in Montgomery County: Naples 45 Ristorante e Pizzeria will open later this year at Westfield Montgomery Mall. Naples 45 will be located by the future dining terrace and ArcLight Cinemas, currently under construction. The Bethesda location will be the only one outside of NYC, except for their Disneyland and Disney World restaurants. The pizzeria specializes in Neapolitan pizza. That style relies on a lean, fine dough containing only flour, yeast, salt and water. The thin crust features a crispy, thin exterior, and a slightly-chewy, soft interior. Is it authentic? Naples 45 is one of only 3 NYC pizzerias to win the La Vera Pizza Napoletana certification, for authentic Neapolitan preparation, ingredients and cooking methods. They were similarly awarded the Ospitalità Italiana certification for those reasons. Still not convinced? Tony Gemignani, World Champion Pizza Maker - and official U.S. Ambassador of Neapolitan Pizza (as bestowed by the city of Naples, Italy, no less) - says real Neapolitan pizza should use Caputo flour and San Marzano tomatoes. And, by golly, Naples 45 uses both. Here's a great video showing the actual Naples 45 Disney World location, that will let you see the cooking process and restaurant firsthand. I don't know about you, but I'm ready for a slice of this pizza. If you're on a dinner-and-a-movie visit there after the ArcLight Cinemas open - and somebody in the group isn't a pizza person - there are also plenty of pasta, seafood, meat and salad dishes on the menu. This is another strong statement by Westfield about boosting food offerings to the level expected at a top flight mall. Westfield Montgomery Senior Marketing Director Christa Allen says the mall is committed to "continuing to bring unique dining options to the table.” If they can add something special in the Legal Sea Foods space, like a Great American Restaurants Group restaurant (Coastal Flats, Jackson's Mighty Fine Food, etc. 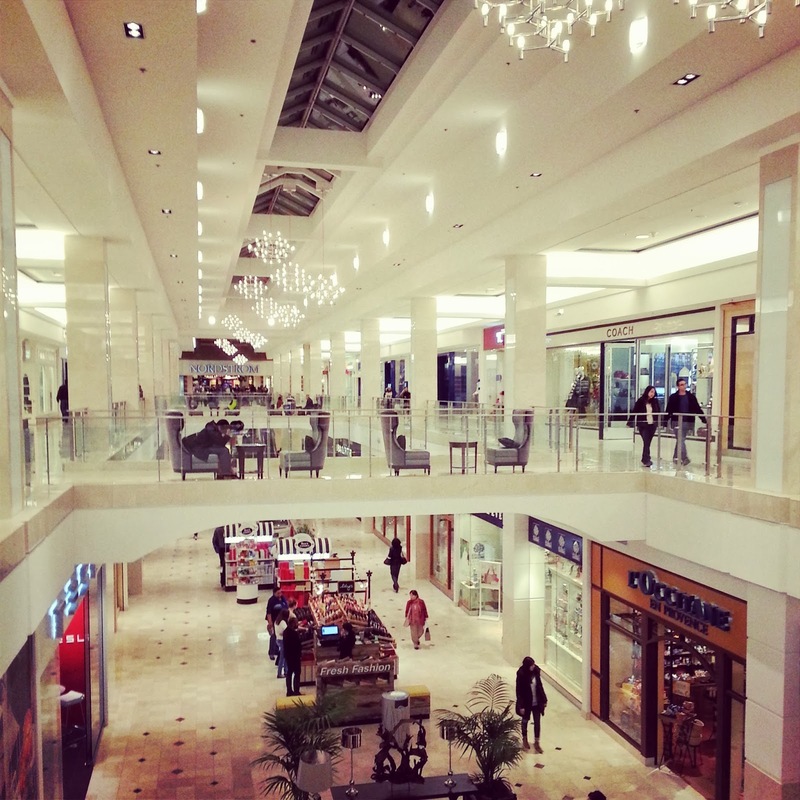 ), that would arguably make Montgomery Mall an equal to Tysons Corner. The place to be for dinner tonight in Rockville is the Grand Opening of 82 Steak Out in Rockville Town Square. Get French-style steak frites and fries, as well as a salad, for only $18.82. You can get some of the usual steakhouse sides for $6.82 each, and desserts (including a brownie sundae!) for $7.82. You can check out the complete menu here. 101 Gibbs Street, #C, 240.428.1295. The snow forecast for Rockville is insignificant today. Expect a mix of rain and snow between early morning and mid-afternoon. Temperatures are forecast to remain above freezing throughout the day. Clouds will give way to clear skies by 8:00 tonight, but temperatures will drop below freezing - expect them to be in the upper twenties overnight.